Most of my clients know that I’m from Torino, so when my tour operator sent me this missive on what offers are available in the area I felt compelled to post it. Ask about these and other food and wine tours that can be arranged on any trip to Italy. Yes, it is true that Torino has the best chocolate anywhere, no small wonder that hazelnut has always been my fave! Piemonte comes alive in autumn. The region that we in the U.S. call “Piedmont” thrives under cooler temperatures that produce Nebbiolo grapes, used in wines such as Barolo and Barbaresco. Forests hide their coveted treasures: White Truffles. With winter weather approaching, Piemonte prepares with the production of cheeses and chocolates. Warning: Decadence Ahead! Be Prepared! Native Italians know that the culinary style of Piemonte is the best of the best, in truth the king of Italian cuisine. So what is Piemontese cooking? Chef Federico Crova, instructor of our Gourmet Piedmont cooking class says the repertoire of the classic Piemonte chef has been sculpted by the region’s rich history. He would define Piemontese cooking as “a really rich tradition made of simple recipes made popular by their audience of noble men, and elaborate recipes that were created by chefs for the incredible dinner parties of the kings.” Piemontese cuisine is richer than most other Italian cooking styles. For example, unlike other pasta, Piemontese pasta is an egg pasta, made only of eggs and flour which, according to Federico, gives the pasta a “unique texture, color and taste.” Try a few of Piemonte’s best known and loved dishes. Chef Federico recommends trying fresh egg pasta such as tajarin (a long pasta) and agnolotti (a type of ravioli), as well as desserts like Bunet (a creme-caramel dish) and the well-known Panna Cotta. The location of this region, in the foothills of the Alps and so close to France, may be partly responsible for the high quality of Piemontese cooking. It certainly has inspired many melty, mouth-watering meals, such as Fonduta, an Italian version of cheese fondue made with Fontina cheese and often topped with truffles during fall months. Some of the best wines in the world come from this region. While many people know that Italian wine is good, few can name a type of wine other than Chianti. But true connoisseurs will know two names: Barolo and Barbaresco. These two strong, bodied red wines are traditionally made, well aged and well worth a trip to Northern Italy. Barolo wine was the wine of choice for many of the monarchs of Europe throughout the late renaissance, including Louis XIV of France, who chose an Italian wine over that of his own country. Barolo regal history and superb taste have earned it the appellation ” King of Wines and the Wine of Kings,” and Barbaresco often serves as Queen. enjoy a taste of Asti Spumante (Italy’s version of champagne) or Moscato d’Asti (a sweet dessert wine known throughout the world). “You must try the truffles!” In the US truffles are rare and expensive, but in Piemonte truffles are in season during the fall months, particularly white truffles. You’ll find them headline menus at restaurants throughout the region. You’ll find them in market. And you may even find them with the help of a trifulau and his guide dog. If you are looking for festivals, catch the mother of all food festivals: the Alba White Truffle Festival, held between October 3 and November 8 of this year. Visit Alba on a weekend to catch the fair’s activities and they will need a car to get there as the small town is not easily accessible by train. Some of the world’s most loved foods come from Piemonte, including possibly the most loved food: chocolate. Don’t misunderstand, we all know that technically “chocolate” did not come from Italy. But many of its modern day forms started right here with the Royal family Savoy leading the way. Mochas were first served here, under the name of bavaresia, a beverage served exclusively to royalty. And of course, it was here in Torino that the idea to make chocolate in a solid form was born. Leave it to the Piemontese to improve upon their own invention — they mixed that chocolate with their local hazelnuts to form gianduia, or what we now know by the brand name Nutella. Every spring, Torino holds a Chocolate Festival to celebrate their history in chocolate as well as promoting continued chocolate innovation. Even if your clients will miss the festival, there’s no need to miss the chocolate. Delectibles are found in every cafe, and everywhere you look. Clue them in to some of the traditional offerings and innovations with a Chocopass, sure to be appreciated by any Torino visitor. You may not be familiar with Piemonte — after all it certainly doesn’t have the fame of Rome, Florence and Venice. But this region is not exactly off the beaten path. Torino, or Turin, is far from quaint. This modern city is considered one of the main contemporary Italian cultural centers — home of modern literary movements, cinematography and of course the 2006 Winter Olympics. Surrounding this capital city is a region of palaces and plenty. Piemonte was royal domain from the 16th century, homeland of the House of Savoy and the first capital of Italy, later moved to Rome. Traveling the countryside, you’ll find palatial estates such as the Venaria Reale, referred to as the Italian Versailles. In short, there’s plenty to see. Most commonly, people stay in Torino and may take excursions into the countryside, though there is also plenty to do in the city itself (try the Torino Card to visit the city’s wealth of museums.) If you would rather explore the countryside by car, stay near the ideally located town of Sinio in the Le Langhe district of Piemonte. Torino is not such a long trip from any of the major hubs (2 hours from Milan, 4 hours from Venice and 5 hours from Florence). I want to start a short series of comments on hotels in Punta Cana. I just spent a short weekend touring properties. I gathered very useful information so the time spent away was worth it. Remember when we do these site inspections we don’t sit by the pool sipping frothy drinks..we run around with cameras, notebooks, in 98* heat and see about 6 resorts in one day..we observe with a discriminating eye and see what is positive and what are negatives. Meanwhile, I try to assess if the resort will fit my clients’ needs. My plan is to write about one resort at a time and perhaps include a few pictures. 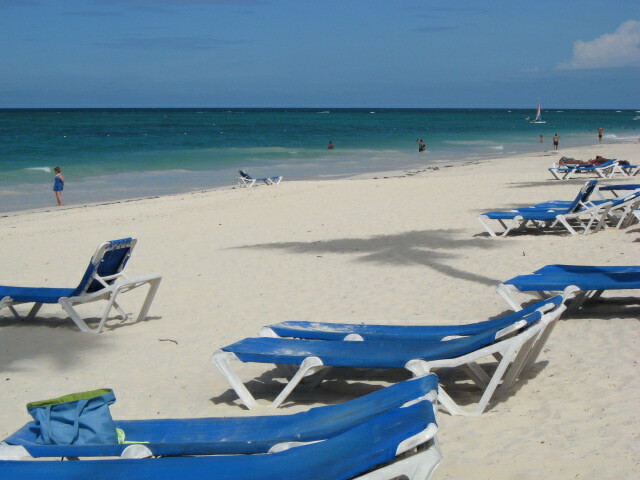 The resort area of Punta Cana is growing. I saw a difference from the last time I was there. It seems like they are building more shops and homes in the area. One thing I’m afraid of is that they will become too commercial. I personally like to have the true local experience when I travel, rather than it looking like the strip mall in town. The first time I visited Riviera Maya the road was two lanes, trees were slapping against the bus as we rode along. Now there are 6 lanes of intense traffic along a road sporting Walmart and Home Depot! Ugh. Like anyone else I do like convenience, but not to sacrifice the purity of the destination. All this ‘devolopement’ occurred in just 7 short years. to make the guests comfortable. 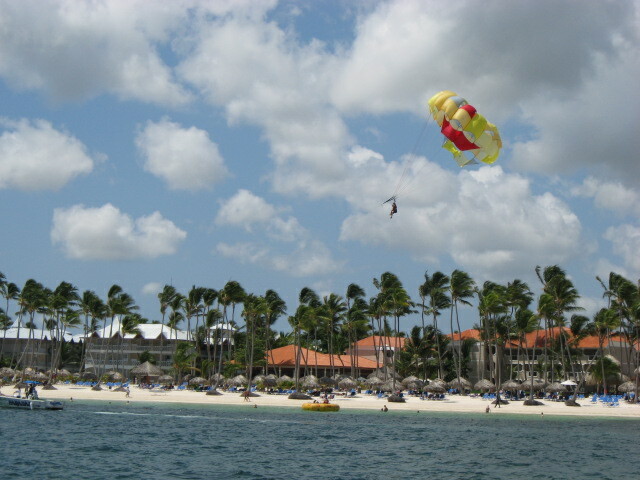 Many excursions are also available for those that want some activity outside of the resorts. Snorkling, diving, city tours, jungle tours, shark viewing and others are available. Stay tuned for the first in a series. I will start with Dreams Palm Beach. Soon come! You are currently browsing the Travelencounters Blog blog archives for September, 2009.